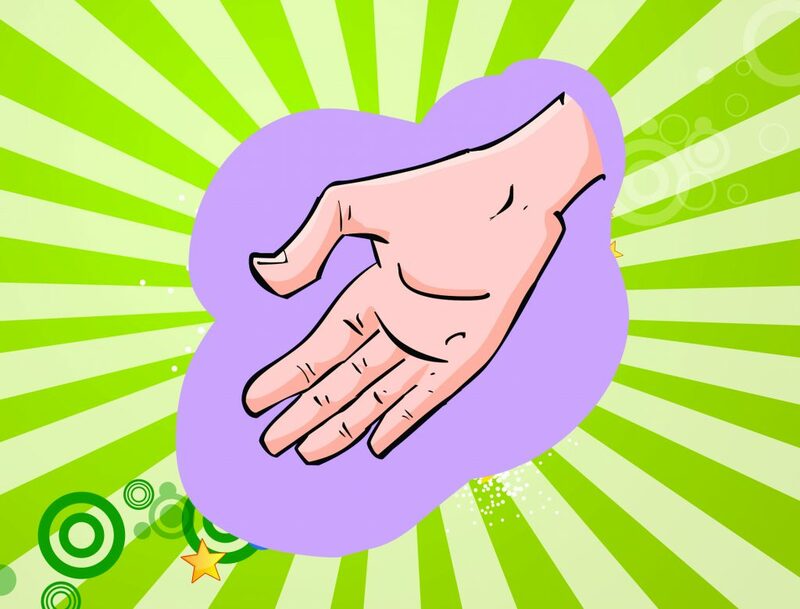 Helping hand, hands are hard to get by in today’s time. Whenever one finds a one, ones should respect, appreciate and thank lord for the same immensely, feels India Book of Records. 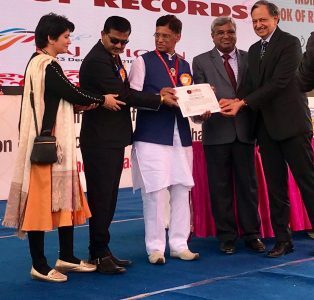 India Book of Records considers all those worthy enough, big or small for having made a record, records, as and when one lends helping hands for issues, projects which hold social, cultural, economical, ecological importance or either try and give these fields new life, meaning altogether. Not for publicity purpose or any other self interest motive behind them, but some people, organizations undertake extraordinary feats for the common good of a large number of people, society, country and the world on the whole, feels India Book of Records. For them no award for these can be better, bigger than the ones which they are supposed to receive and get from India Book of Records. 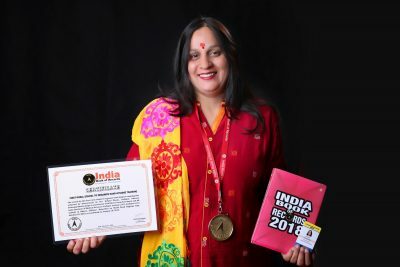 India Book of Records, considers it as its duty to give them their much asked for, deserved respect, adulation, say in noble, charitable circles working. NGOs, other state, country and world-level bodies working in this respect, feature in above position in the list of India Book of Records to be felicitated under its Helping hand & appreciation category of records. There are only a very few people, organizations who dare to take the first step, initiate a revolution, despite fear involved or in absence of financial help, but they are the ones which find a place in the heart of India Book of Records and are held at a high pedestal and felicitated by it accordingly. Authorities are not just there for guiding us, but they too require our guidance, attention in a number of cases, feels India Book of Records. One of the biggest of their requirements is to get help for protecting peace, tranquility, secular fabric of the country in every condition, at every cost possible, feels India Book of Records. Armed forces, soldiers, social activists, whistleblowers and the like, comprise the category under which India Book of Records considers them for its Helping hand & appreciation feats, records. 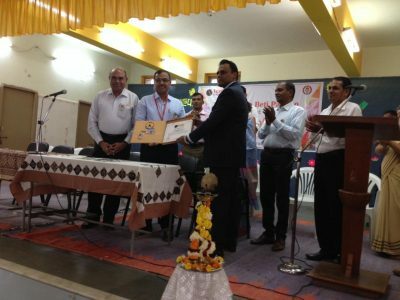 In addition to this, there are also sanitation, hygiene, cleanliness workers and inspectors, who by lending their time, energy, sometimes life even strive towards maintaining and in cases also making, building platforms for enabling people to live in a neat and clean environment in the future, feels India Book of Records. Injustices towards females are uncalled for, but still exist and thrive. So under India Book of Record’s Helping hand and appreciation category comes all those, who stand up for their rights, shunning injustices against them and in this way, encouraging others of their lot to follow suit and lead a life by being an example for others. Malnutrition and high child mortality rates are problems in the country, which take away lives of innumerable children. So are crimes against them. However, there is a requirement of people who consider it as their duty to fight for the causes, try control them and mitigate them totally, at their own respective, individual levels if possible. 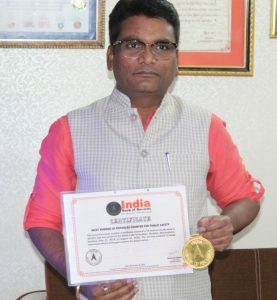 India Book of Records, believes felicitating all those already fighting for the causes, while turning newcomers into these fields into professionals by supporting, awarding even their minimalist of the steps taken in the mentioned directions. The record for the first rural school to organize hand hygiene training was achieved by Government Sr. Sec. School Dhawa, Jodhpur, wherein Principal Sheela Asopa in association with Dhawa Gram Panchayat and All India Institute of Medical Sciences Jodhpur trained 1701 students of 13 schools in Dhawa, Jodhpur, Rajasthan on World Hand Hygiene Day, October 15, 2018, as confirmed on January 18, 2019. 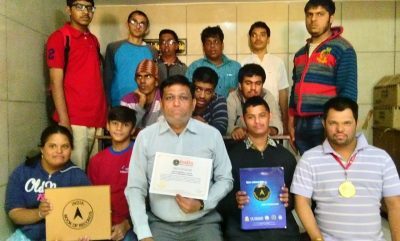 The record to organize and fund the first international tour for mentally challenged students was achieved by Navjeevan Charitable Trust, Ahmedabad, Gujarat, wherein 26 students of their special school traveled to Dubai for 5 days from September 22 to 27, 2018, as confirmed on January 21, 2019. 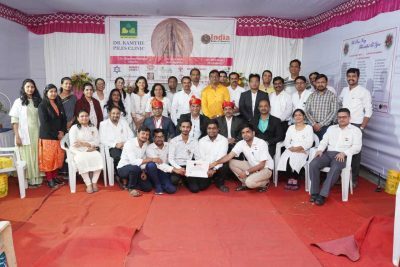 The record for the first medical conference to only use biodegradable materials in all the conference proceedings and requirements with the sole aim of Not to generate Plastic Garbage was achieved by Dr. Sanjiv Maheshwari (born on October 2, 1963), Hon. Secretary API, Rajasthan at the Annual Conference of Association of Physician of India (API) at Mayo College in Ajmer, Rajasthan on December 22-23, 2018. This attempt is in unison with the Healthy Conference guidelines issued by the WHO from the year 2018. Necessity and requirement of a society are unlimited. Generally, it has been seen that we think or do for ourselves first, but there are some persons who are made only for others, by nature. Whatever they do, whatever they think social benefits peep through their performance. Their dream and desire are fully based on social work. Slogans have enormous power to highlight the situation beautifully in short. Due to this super nature, it has become more popular and remunerative in this world. When we write a slogan, we try to use explosive words in poetic and attractive way, so that, it can show its magnificent effect and can be spoken and remembered easily. Writing good slogan is an art.